This post is part of YummyMummyClub.ca’s support of the TD Summer Reading Club program and other TD Children’s Literacy initiatives. From the time I found out I was pregnant, one of the very first things that I made sure to do was to read to my babies! My husband and I chose one favourite book, Guess How Much I Love You by Sam McBratney and we read it to my tummy almost every day. At the time, I was a Kindergarten teacher and children’s literacy was such a passion of mine (it still is!). We have books all over our house; in the basement, in the kitchen, in the family room, in the bedrooms and more. One thing that I have done with my children each summer is to sign them up for the TD Summer Reading Club at our local library. This year, when I explained that we were signing up again, I asked my children how they felt. My 8 year old daughter said, “I feel fantastic”. No wonder she felt fantastic, she loves to read. Reading is one of her passions. On her last birthday, all she wanted on her wish list were books. My four year old son had a different response. He said, “I don’t feel good because I cannot read”. Words cannot begin to express how much this hurt. It hurt because I desperately want my children to be confident in their literacy skills and I also want them to have the same love for reading that I had when I was a child. When a child loves to read, they let their imagination go wild, they let themselves loose inside a book and their creativity explodes! Books can be such a magical place to lose yourself. Every child is unique, this is what I must sometimes remind myself. From the time my daughter was 6 months of age, maybe even younger, she LOVED books. She would sit and look at books and listen to books for hours. My son has never expressed a huge interest in books. I truly believe that we just have to find the right type of book for him and he too will enjoy sitting down with a good book. But part of it is also his age. Many children in Kindergarten (my son just completed Junior Kindergarten) do not have literacy confidence because they know that they are still learning how to read. 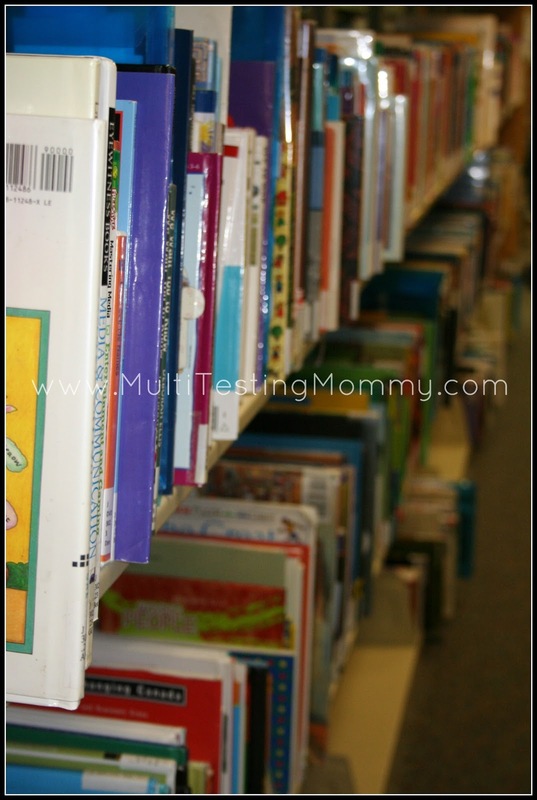 This summer, my goal is to help my son gain confidence and to enjoy reading. 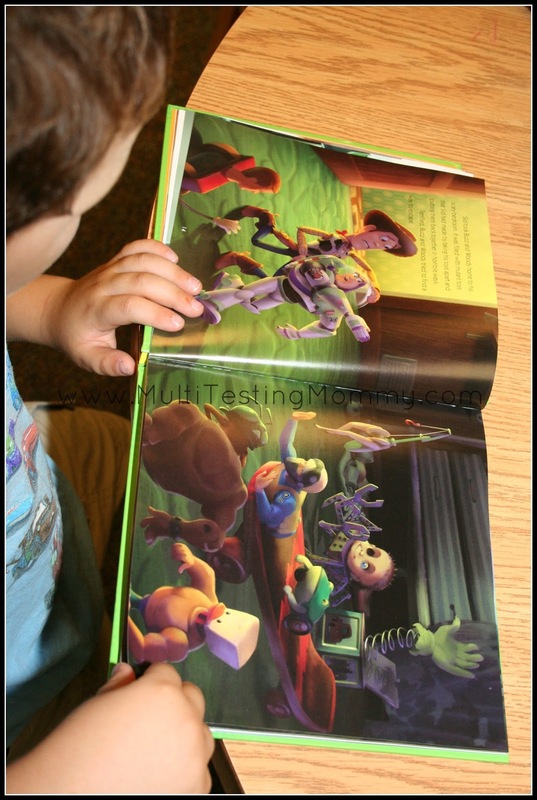 We are already well on our way with this because although he mentioned on the way to the library that he wasn’t too excited, as soon as I told him that Mommy, Daddy and his sister reading to him counted towards his summer reading, his face lit up. Developing good listening skills and comprehension skills is just as important as the act of reading itself. My son truly was inspired once he signed up for the TD Summer Reading Club at our library. The sign up process was exciting for the kids. 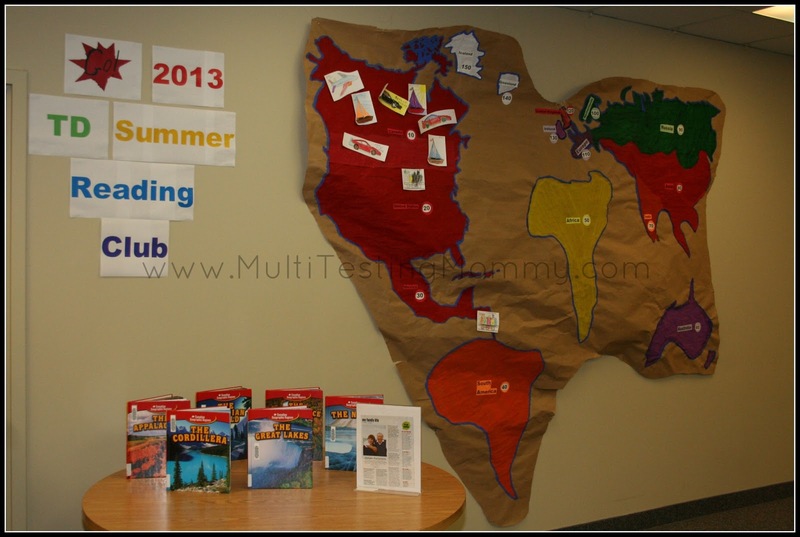 They got to make a reading goal for themselves, enter a contest and colour a vehicle that was placed up on a world map to show what reading goals they have reached each time we visit the library this summer. Last year alone, TD donated $4 million to children’s literacy and reading organizations in Canada. The TD Summer Reading Club is one of the worthwhile initiatives TD funded. More than 580,000 children participate in the TD Summer Reading Club, collectively reading over 2.4 million books each summer. If you need help selecting books that your child will enjoy or that are age appropriate for your child, The TD Summer Reading Club 2013 book list has books for every age and stage. 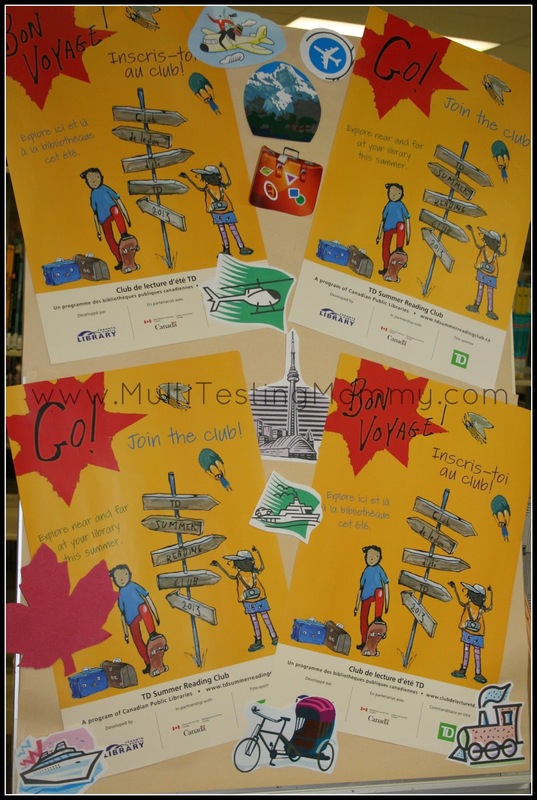 The TD Summer Reading Club includes a passport, a poster, a recording list, stickers and more. You can also enter sticker codes on the website for online surprises. You can support your child in learning to read and in developing a love for reading by signing them up for the TD Summer Reading Club at your local library and guiding them through the program on a daily basis. Some children will need more encouragement (my son) than others (my daughter). If your child requires more encouragement and motivation, try to find a type of media that they enjoy reading. Perhaps comics or magazines are more their thing. If your child has a short attention span, try breaking up the books or reading sessions into shorter chunks. Make reading a part of your every day life by making daily menus, grocery lists, packing lists and more together. Here are 5 more tips for encouraging your children to read this summer. I received compensation as a thank you for my participation. This post reflects my personal opinion about the information provided by the sponsors. Want to inspire a love of reading in your children? Check out some great ideas and more stories by moms on YMC’s Get Kids Reading page. And to find out more about TD’s Children Literacy initiatives visit tdreads.com. What a wonderful gift you are giving your children. Developing a love of reading now opens so many doors to them for the future. Our kids are 12 and 15 and I am so happy that we knew the importance of this when they were little. Life can have enough challenges. Reading even impacts math programs now, as early as grade two. Bravo. Thank you, Ida! You are right that a love of reading opens doors! Reading is everywhere and communication skills are important across the map in education for sure. What an inspiring program! I go to the library with my grandkids to read with them a few times a week! You’re very welcome, Annie! It is an inspiring program for sure. My daughter was just like your daughter and was an early reader and LOVED to read…all the time! My son was a little harder to get hooked into reading and was just like your son with his reading confidence at first. I found that, unlike his sister, he enjoys comics and non-fiction books like fact and science books more than fiction. But once he started reading, I told him that anything counted as reading…even Calvin & Hobbes comics, Archie comics and even those Captain Underpants books. That was the first ‘series’ that he loved reading on his own! And then he liked Magic Treehouse and Wimpy Kid Diaries. It was so fun to watch his love of reading grow! Yes, Angie – you are right, it’s all about finding what engages them! My daughter was scared (and still is to an extent) of the Magic Treehouse series, but I can definitely seeing it being a big hit with my son in a few years! I just bought Sendak’s WHERE THE WILD THINGS ARE for my nephews (6 & 2, for the older to read to the younger). I wish my brother and his family lived closer to a local public library, but because of the city they live in, it’s just too big a hassle to commute so far, so very often. Here’s hoping I can really encourage them to make the trip more often. I think it would do wonders for the 6-y.o. and his confidence in school. And it’s never too early to start with the 2-y.o.! I just love that book, Candice! What a classic it is 🙂 I agree – it is NEVER too early! I am fortunate that all of my kids love books. I think it is important to start very early to instill a love for literacy so kudos to TD & other programs like this one! August 27-I remember that my oldest, a son, did not seem interested in reading even tho I loved it. Finally, about the age of 12, he read a book about wolves and got hooked on reading. Sometimes, we just have to wait until they are ready but, of course, encourage all the way!